There are all too few decent books on track and field and its practitioners.  But Haile Gebrselassie, the greatest long distance runner in history is fittingly getting another volume to sustain his legend; and one in which he has had a hand. For that, he has another legend to thank. 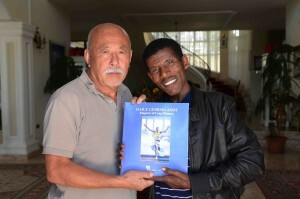 Jiro Mochizuki looks as if he has stepped off the set of Seven Samurai, but the Japanese born, Paris-based photographer has been an ever present throughout Haile’s lengthy career, and a long relationship has been forged between the pair, which has finally resulted in the publication of Haile Gebrselassie, Emperor of Long Distance. Jiro began as an art photographer, and has published several books of his work, which has equally been displayed in art galleries across Europe and the East. But by the late 1980s, he was co-founding a sports photo agency in Tokyo. Jiro-san, the Emperor of the Infield has supplied the vast majority of the pictures for this volume, while Haile has provided the unmediated words, to guide us through his career, highlighted by the pictures themselves. 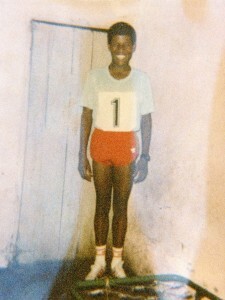 There is a fine selection of photos, all the record-breaking runs of course, and also including those taken at home, with extended family and friends, but beginning with a faint but historic first, from 1988, taken by his elder brother Tekeye, prior to Haile’s first race in Addis – a marathon, would you believe, at age 15, in which he ran 2.48? But the rest of the selection is a celebration of Jiro’s talent – not only has he visited Addis and Haile’s birthplace in Arsela numerous times, he (or his photographic partners) seems to have been present at every one of Haile’s innumerable triumphs over the past 20 years, an unparalleled career at the very top for a runner, exemplified by the score or more of world records and ‘firsts’.